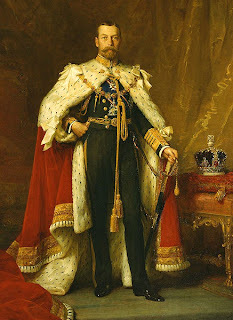 King George V died 82 years ago of lung disease. Grandson of Queen Victoria and grandfather to Queen Elizabeth II, his death was expected (he had been a heavy smoker and ill for some time). However, controversy surrounding his death surfaced a few decades ago when the diary of his lead attending physician, Lord Dawson of Penn, was revealed. In his notes after the death, Dawson wrote he administered to the king a lethal dose of drugs, morphine and cocaine, ensuring that George V would die before midnight. 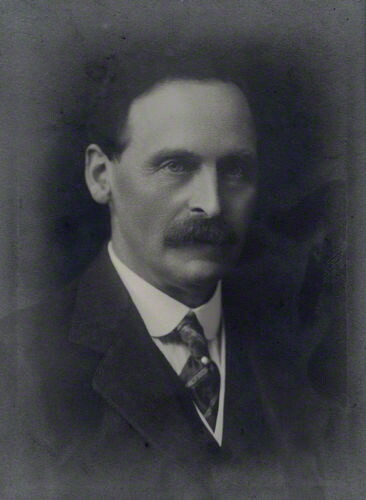 Dawson was motivated by a desire to preserve the King’s dignity, protect the family (and realm) from a long period of confusion, and probably to allow the announcement of the King’s death to be made in the morning newspapers instead of the afternoon press, the latter considered less authoritative and more sensational. 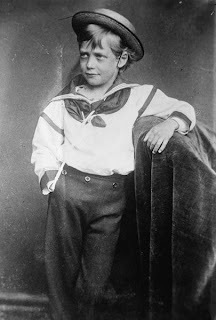 George Frederick Ernest Albert was born in 1865, the second son of Albert, Prince of Wales (later King Edward VII, 1841-1910), and Princess Alexandra (1844-1925). Throughout his early life, he did not expect to inherit the throne, but in 1892, his elder brother, Prince Albert Victor, died of pneumonia and George became second in line to the throne, after his father, and was named Duke of York. 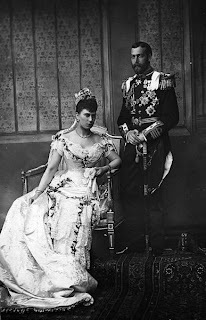 Albert had recently become engaged to Princess Mary of Teck (1867-1953), known as May, and after a suitable period of mourning for him, May and George became engaged with the approval of Queen Victoria. 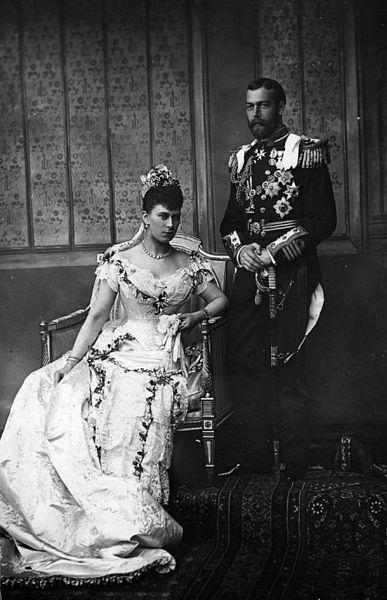 The wedding took place in 1893. After the death of Queen Victoria in 1901, her son Edward VII ruled for just over nine years before he suffered fatal heart disease. George, during his father’s reign, was Prince of Wales. When he took the throne as George V, the troubles in Europe which led to World War I were already well underway. 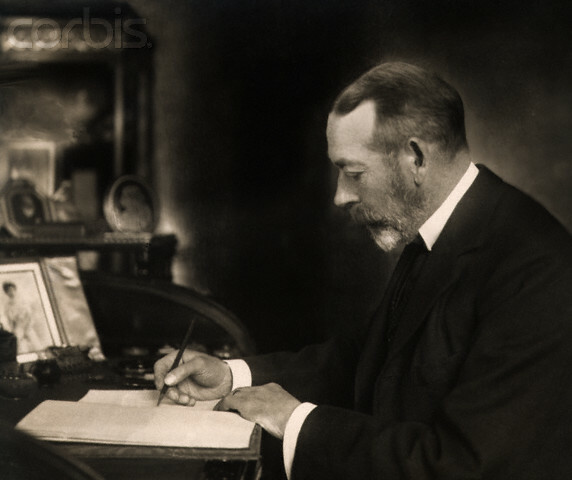 George V was a first cousin of both German Kaiser Wilhelm and Tsar Nicholas II of Russia. Family ties, sadly, did not prevent the catastrophe to come. 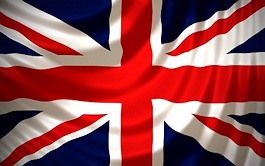 The war and its aftermath occasioned many changes in Great Britain and the Empire. 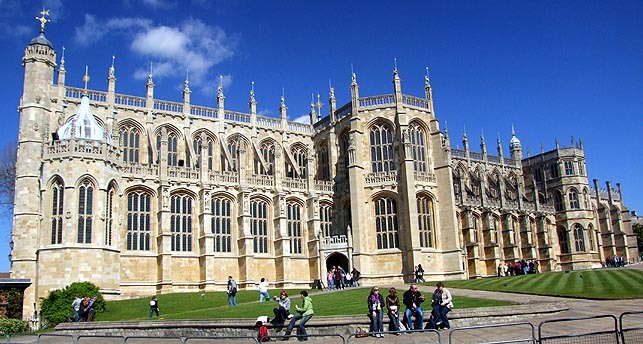 The family name of the royals was changed from Saxe-Coburg-Gotha to Windsor. Stirrings in Ireland and other territories had long-reaching consequences, not to mention the rush of technological change. 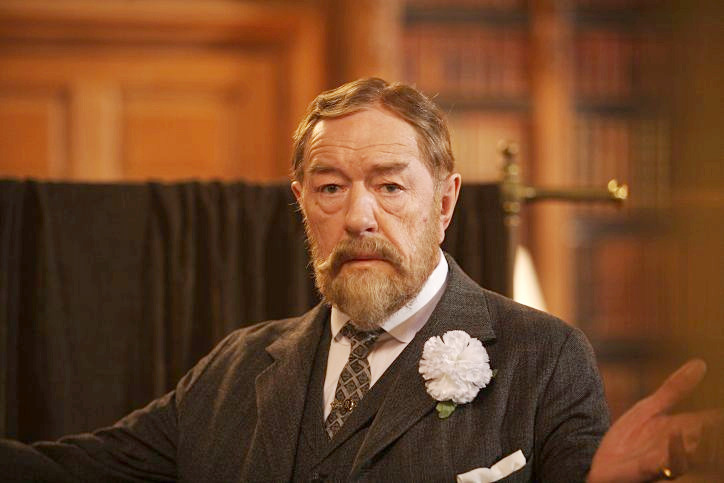 George V was the first King to address his people by radio, as recently portrayed in the film The King’s Speech, the story of George V’s son, George VI. Below, King George V as portrayed in the film by famed British actor Michael Gambon. In the film, George V is portrayed as a stern father, intolerant of the shortcomings of his sons. His eldest son, known as David, succeeded him as Edward VIII, but reigned for less than a year, abdicating to marry the American divorcee Wallis Simpson. In turn, George V’s second son became King George VI. 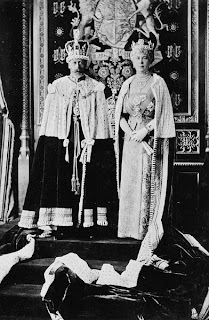 In many stories about George V’s life, we learn he expressed his hope that David would never marry and have children, because he (Geroge V) wanted nothing to come between the throne and his granddaughter Elizabeth, the present Queen, called Lilibet. 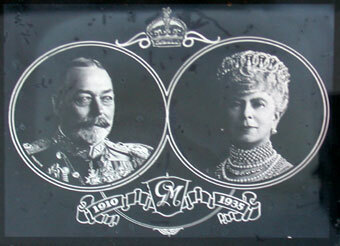 George V reigned for just over 25 years. Upon the celebration of his Silver Jubilee in 1935, he was touched at the affection expressed for him by the people of the nation and the empire. The occasion was marked by many tributes and a wide variety of souvenirs, including china, medals and stamps, the latter reflecting the King’s hobby of collecting. 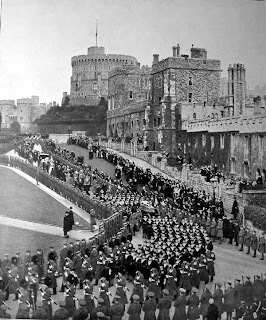 According to the New York Times of November 28, 1986, a biographer of George V, Kenneth Rose, said he now considered that Dawson had murdered the King. But there was no official statement from Buckingham Palace, just the remark that it all happened a very long time ago and all those involved were now dead. Whether or not members of the King’s family were consulted or knew of the injections is not known. After the tumultuous years of his reign — world war, the first Labour government, influenza epidemics, extension of women’s rights to vote, general strike, the great depression — perhaps a case of euthanasia is not so shattering. But it was a surprise to me. George V died before midnight. 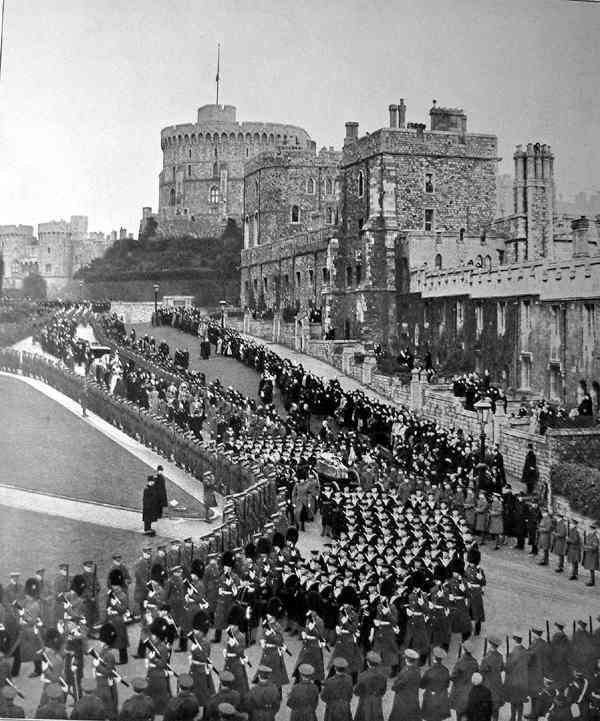 Below, the funeral cortege moves through Windsor. 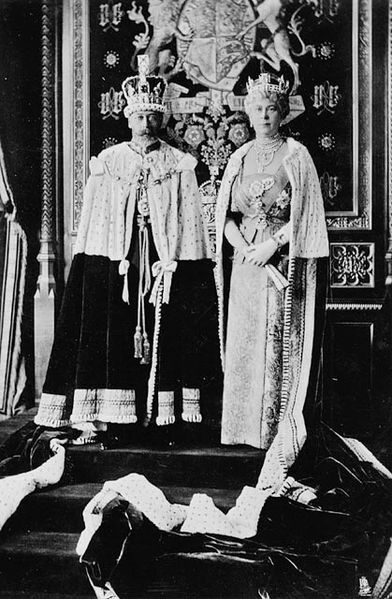 Queen Mary lived on until 1953. 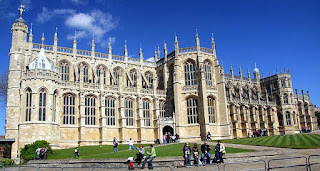 She is buried beside her husband in St. George’s Chapel, Windsor Castle. Wow. This surprised me, too. Good Lord. I had no idea. 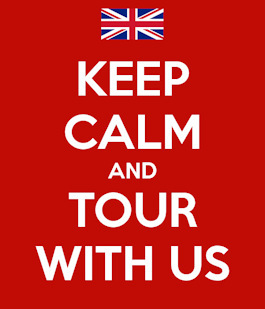 One wonders who in the royal family was consulted. I cannot imagine this being done without a family member's consent, especially when dealing with a royal family. Early 20th century doctors believed in sparing the patient the knowledge of their illness, if it was cancer or another terminal illness, and in keeping some of their treatment secret. Churchill's doctor, later Lord Moran, injected Churchill with stimulant and other drugs under the guise of vitamins shots. 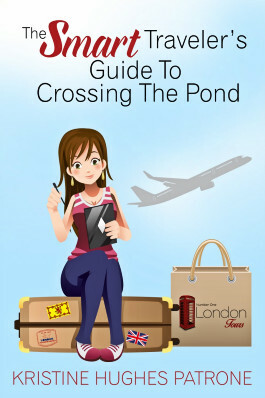 Read Moran's journals, readily available in the US for confimation of this. Why bother asking for the consent of a lay person?